I am going to have to read one of these..I have heard so many good things about the author...hated the movie though. So far, I like it, but I've just started yesterday. Everyone is praising her novels, so I hope it's really that good. As you are praising it too! I have not read any of her books but I do have one on my "to read" shelf now. I am afraid once I start reading her stuff, I will want to read them all! Thanks Tracy, I'll definitely check these out! I love Jodi Picoult too....I think my favourite of hers is "My Sister's Keeper", it was the first one I read and is one of the few books that made me cry - and cry! I haven't read these two yet, will add them to my list. I know what you mean about not being about to put her books down. PS Congratulations on your new job, well done!!! oh lady i LOVED my sister's keeper!!! i didn't see the movie though b/c i heard the ending was different and the ending was what made the book...but i am definitely looking forward to reading some more from her!!! thanks for the recommendations!! i always hear GREAT things about these books, but i haven't been able to pick one up yet! i'm a slow reader so books take foreverrrrr, but i do want to get into one. what's a good one to start with?!? I love her books too and I have the same problem..I could not put them down. I LOVE all of her books!! She lives in NH (where I live now). She is a great author. 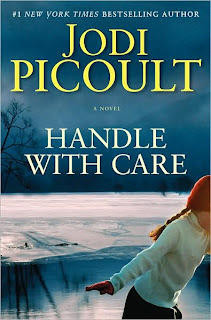 I have not read Handle With Care yet, but I have it to read! Have you read Nineteen Minutes? That was the first Jodi book I read, and I became hooked. I always cry when I read her books. I've been looking for some books to read. I might have to go the B and N today and get one. Jodi Picoult is one of my favorites! The first book I read was Nineteen Minutes and I couldn't put it down. Same for all the other ones. Currently reading The Pact. I'm hooked! :) Harvesting the Heart will be next! :) Can't wait. I have read every single one of her books... at least twice. If you haven't read "Songs of the Humpback Whale," you should try that one next. It's an older one of hers, and not as well known, but amazing. And I have the same problem... I read Handle With Care in ONE day... I stayed up through the night to finish because I just couldn't put it down!! Hi sweetie, I definitely agree that she is such a good author and I loved My Sister's Keeper and how that novel made me think instead of just enjoy the ride, you know? I am glad that you have found an author that you adore, I will have to check these two books out. Happy Sunday my love! jodi picoult is such an amazing writer. i've read three of her books...my sister's keeper, the pact and change of heart and i loved every single one! i am always sucked right into her intense storylines. now i have 2 more books to add to my reading list. thanks doll! Oh I love Jodi Picoult too! I always end up getting totally immersed into her twisting story lines! 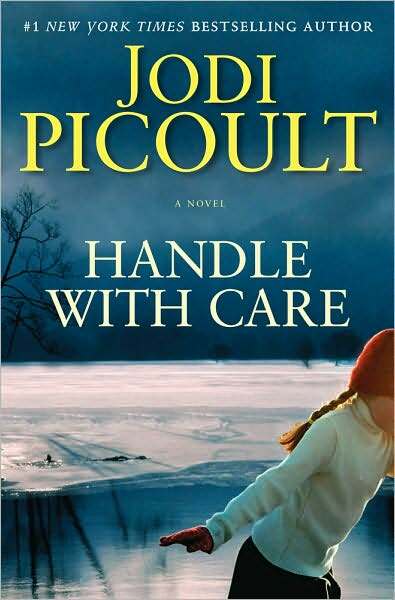 I actually had just read Handle with Care as well...I'll have to check out Harvesting the Heart! I have every one of her books and they were all amazing!! When I get into a book it's the hardest thing to get me to do anything else! ooo I need to add these to my reading list. I have been looking for some good books to read. she's one of my favorites as well- she makes you think. two of my favorites are plain truth and the pact. Some of her books are definitely on my must read list. I definitely love cozying up with a good read in the fall and winter. I’m making my way through Bergdorf Blondes currently and I love it. Very fun and light! I love her books too! I'll have to check these out. I will definitely be looking into these! Alright, you sold me! I'm already 118 pages into Handle with Care! Love it! 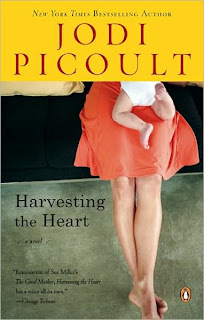 I was thinking about reading a Jodi Picoult book since I've never read one before. Your post definitely motivated me to order one on Amazon right now !